There are many sleep apnea solutions that may help your condition. 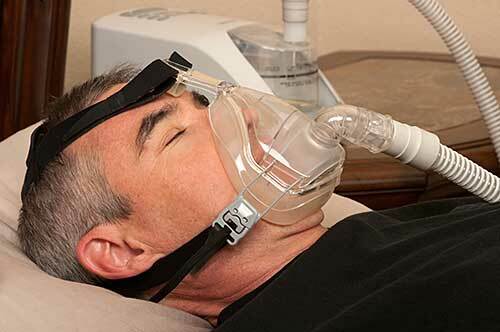 Solutions for sleep apnea range from safe, simple and affordable to risky, complicated and expensive. Here’s a look at each of the approaches popular today. People typically start with the simple. Although the causes of apneas may be complicated, anyone that is obese or overweight will benefit from a weight loss program. This does not necessarily mean a calorie-restricted diet. A number of different diets have proven to be effective for permanent weight loss. It seems to be most important for the person to adopt healthier eating habits overall. A dietician, nutritionist or personal trainer could help you evaluate your diet and your level of physical activity to come up with a program that will work for you. Achieving and maintaining a healthy weight will do a lot for your overall health. Improving the strength of the muscles in the upper airway may be a simple and effective solution. In most people who suffer from apneas, portions of the upper airways tend to collapse against each other, preventing air from reaching the lungs. This is referred to as OSA or obstructive sleep apnea. In order to improve the muscle tone and prevent the soft tissues of the throat from collapsing, special stop snoring exercises may be effective. One of the sleep apnea solutions is called “Singing for Snorers”. Not all apnea sufferers snore, but most do. Both the snoring and the obstruction may have to do with weak muscles in the upper throat. Instead of singing, you could learn to play a wind instrument called the didgeridoo. A study conducted in Switzerland in 20061 provides evidence that strengthening and stiffening the walls of the upper airways leads to a reduction in snoring and daytime sleepiness, as well as an improvement in blood oxygen levels. No sleep apnea solutions were used in the study. In fact, people who were already using another treatment were excluded from participating. The volunteers received didgeridoo lessons and practiced for about 25 minutes per day. Sleeping on your side instead of your back could help with your nighttime breathing. The walls of the throat have a greater tendency to collapse against each other when you are lying on your back. Special pillows and nightshirts have been designed to keep you off of your back. You could also try sleeping on a daybed or sofa. The narrower confines might help you stay on your side. If none of the simpler sleep apnea solutions work for you, the next step is usually the CPAP. CPAP stands for continuous positive airway pressure. The device, sometimes called a sleep apnea machine, is safe and effective. The only complaint is patient discomfort. The devices work by assisting with inhalation. The constant airflow prevents the soft tissues in the back of the throat from collapsing. In other words, it keeps the airways open. A similar device is called the BiPAP. It assists with both inhalation and exhalation. Its use is typically reserved for more severe cases. Although more expensive than some of the simpler therapies, the devices are among the least expensive sleep apnea solutions. Another safe and non-invasive therapy is the use of Oral Appliance Therapy (OAT). Dentists can provide a customized mouthpiece that shifts the lower jaw forward, which effectively opens up the airways. In addition to visiting your dentist, it could be worth your while to visit and otolaryngologist, commonly referred to as an ear, nose and throat specialist. The problem could be a physical one. Enlarged tonsils or adenoids could be the cause of the obstruction. There could be an obstruction in the nasal passage or the base of the tongue could be involved. Some degree of risk is associated with all surgical sleep apnea solutions. But it’s a good idea to learn about all of your options.